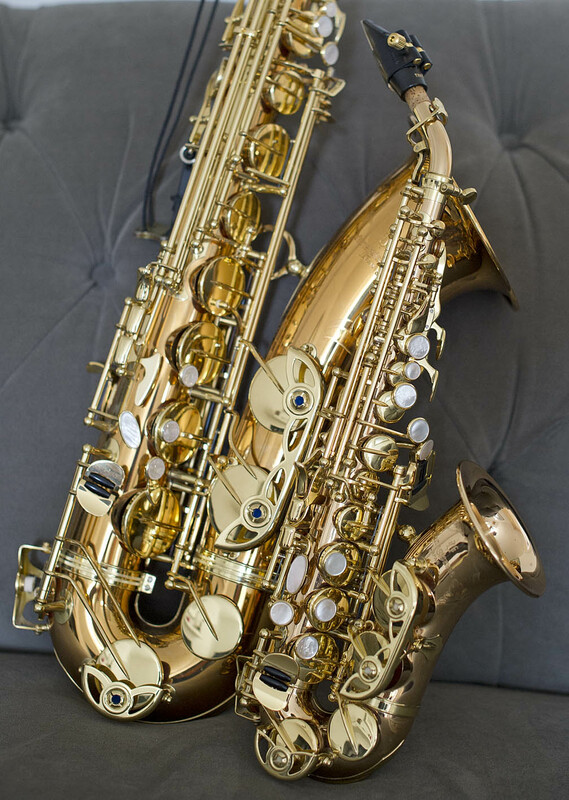 To saxophone players and aficionados, the Paris-made Selmer Mk6 is the absolute pinnacle. It’s the one by which all other saxophonic pretenders are judged and usually found wanting. Of course the fact that they’ve been out of production for many years only adds to their cachet and air of desirability and superiority. The survivors can range from laquerless, scrappy, dull-looking “characters” to totally renovated and shiny-fresh Blings. And all points in between. But at least they’re mostly brassy and gold-ish looking. As spotted at an instrument technician’s workshop Somewhere In Edinburgh. This is an original factory finish and the only excuse can be that the horn was produced in the late 60’s – just as mind-expanding chemicals were really catching on. FAR OUT! When I got home an amazing thing had happened. My Yani 992 Tenor was sitting happily on the couch with a New Arrival. 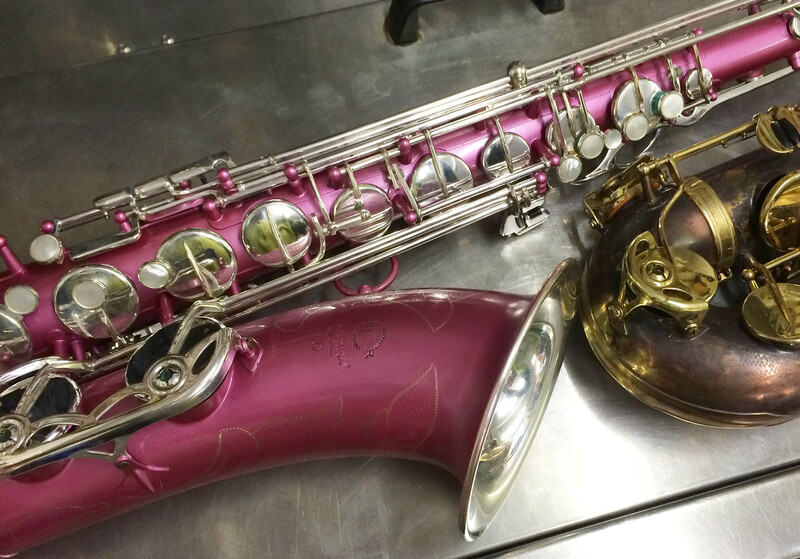 This Post was posted in Saxophones. Bookmark the permalink. I want to know what the originator was drinking/smoking. I feel my Kotuzow work could only improve from some.